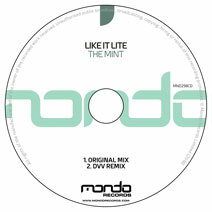 Like It Lite returns to Mondo Records with another slice of progressive trance that'll leave you wanting more. After his previous outing 'The Ridge' created a buzz, the follow up single 'The Mint' continues in much the same vein while offering a fresh melody, and copious amounts of summer inspired energy. On the flip, we've employed the much loved talents of newcomer DVV who serves up a banging alternative to the original. His mix keeps the essence of the original at heart, while upping the tempo and taking the energy even higher. Opening our 2017 account comes a new face in the form of 'Like It Lite'. Delivering an essential Mondo Records debut with the lushness that is 'Juice'. A feel good trancer, packed ..
Getting in that Miami WMC vibe early, Mondolicious unleashes its latest offering in the form of the lush 'Sometimes Ibiza' from Like It Like.From its slick, laid back groove, pluck..